Where interns congregate, while the coffee brews. La da dee dada doo. Gou-let. Written by zachary dudley. Posted on March 24, 2010. Filed under Music, WTF. Tagged awesome, How to, Trumpet. No comments. How to Make a Trumpet. This video, for me, encompasses the very essence of comedy. Even before the video begins, we are imbued with the impression of legitimacy. As a collaboration between eHow.com and Expert Village, one might expect sage advice. For two minutes and ten seconds, Annie calmly walks us step by step through the process of making a trumpet. First, cut the two-liter. Next, attach said two-liter to a length of hose-pipe via duct tape. You may need to shorten the hose-pipe for ease of holding. These all seem fairly clear cut. After all, she’s an expert. The pivotal moment comes as she prepares to play. She puts the horn to her lips and blows extremely hard, and in a singular instant of raucous travesty, you finally realize that you just watched a woman tape garbage together. Where will you be in 20 years? Written by zachary dudley. Posted on March 24, 2010. Filed under Music, WTF. 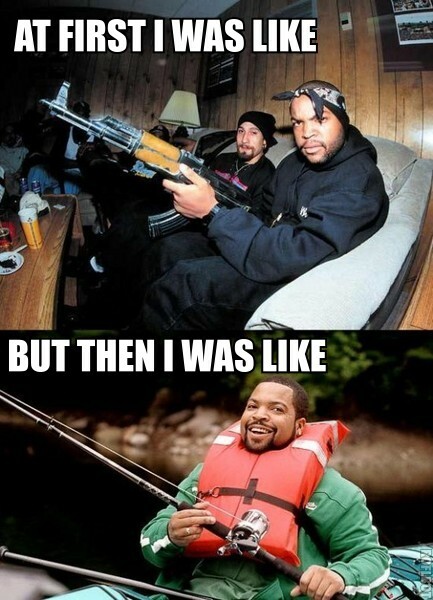 Tagged At first I was like, but then I was like, Ice Cube. No comments. Written by ross. Posted on March 15, 2010. Filed under Internships, Music. Tagged Dutch, Dutch Intern, Intern, OK Go, Rube Goldberg. No comments. 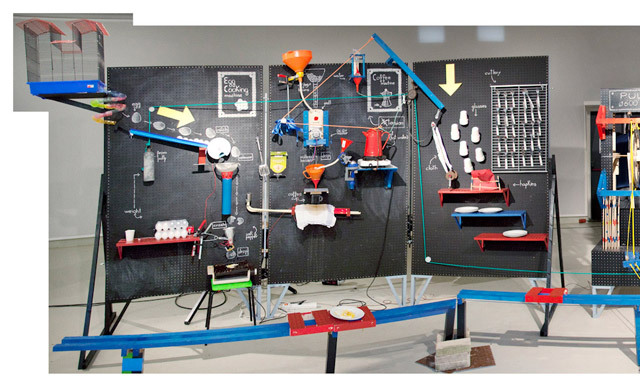 Intern Inc. needs someone who can build us a Rube Goldberg. If you can speak Dutch, all the better. Email us: internwhisperer@gmail.com or Tweeterize at us @internwhisperer. Why Dutch, you ask? IT’S HERE: Coachella Festival 2010! Written by monica. Posted on February 1, 2010. Filed under Music. Tagged Coachella, Jay-Z, MGMT, Muse, The Temper Trap, Vampire Weekend. No comments. The Coachella Festival lineup is finally out, and you’ll never guess who’s making their way over to Indio, California. This year’s headliners range from Jay-Z to Muse, with everyone in between. It doesn’t look like we’ll have any of the “classics” that come through such as last year’s headliner Paul McCartney, but I think if we see more people like this guy, we’ll get by just fine. Other big names you don’t want to miss are MGMT, Gorillaz, and Vampire Weekend which should debut their 2010 album Contra. YES! A flood of the electronica/dance DJs have recently made their way through Denver and they have also made the Coachella lineup, so if you’re ready to roll face Benny Benassi, Bassnectar, Pretty Lights, and The Glitch Mob are featured throughout the three day spread. But with all of the art and trippy features, you won’t even need the drugs. I’m sad to inform that my dream band, Kings of Leon, will not be performing, as I had been praying- literally. Who would you have liked to see? My musical inspiration, The Temper Trap, will be performing on Saturday, and for those of you who do not know them, let me drop the line “Sweet Disposition”. This song premiered in the indie film 500 Days of Summer and is featured in the commercial for ABC’s new series The Deep End. Some other bands to check out, if you haven’t already, would be Miike Snow- Animal and Passion Pit- Sleepyhead. If you have nowhere to be April 16th- 18th I would say Coachella would be the perfect start to all of the summer festivals- so be there! To check out the full lineup go to www.coachella.com. The world according to Henry Rollins. Written by zachary dudley. Posted on January 28, 2010. Filed under Music, WTF. Tagged Henry Rollins, remix, techno. No comments. Admittedly, I’m not the biggest Henry Rollins fan. It’s not that I don’t like what he does, because I do. He feels very strongly about some things and is absolutely not afraid to voice his opinions. I appreciate that he knows exactly where he stands, only sometimes I don’t quite agree. And that’s fine too. 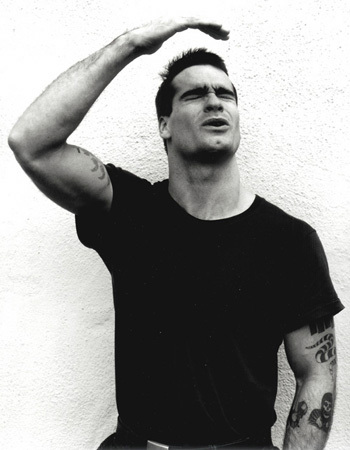 If Henry Rollins and I always saw eye to eye, we wouldn’t have much to talk about (assuming hypothetically that I would ever meet him, and also that he would want to talk to me). But alas, mistress internet is not as forgiving. It turns out, Henry Rollins hates techno (and probably most forms of electronic music, but he doesn’t go as far to specify each subgenre). He hates the culture, the drugs, the people, and probably anything else even tangentially related. It’s a funny bit, I guess, if you like Henry Rollins. And in his scathing critique, he parodies the simplicity and mindlessness he sees in the process of creating this music. 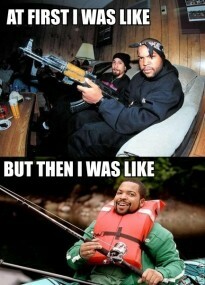 The awesomeness of his rant comes full circle when it’s remixed. Suddenly, the hack ultimately creating this musical abomination is Rollins himself. The video is even features the Techno Viking, an internet meme which, in this context, becomes a bizarro simulacrum of Rollins, but from the pro-techno camp.